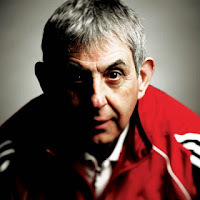 Rather belatedly I'd like to add my congratulations to Ian McGeechan on the knighthood awarded to him in the New Year's honours list. Whilst not a huge fan of the honours system in the UK (it being a tad silly to be awarded the Most Excellent Order of the British Empire when no such Empire exists), given that gongs do get awarded to all and sundry these days I'd say that Geech's achievements in rugby over the years are certainly worthy of the highest recognition. Here here Flanker, I couldn't agree with you more!